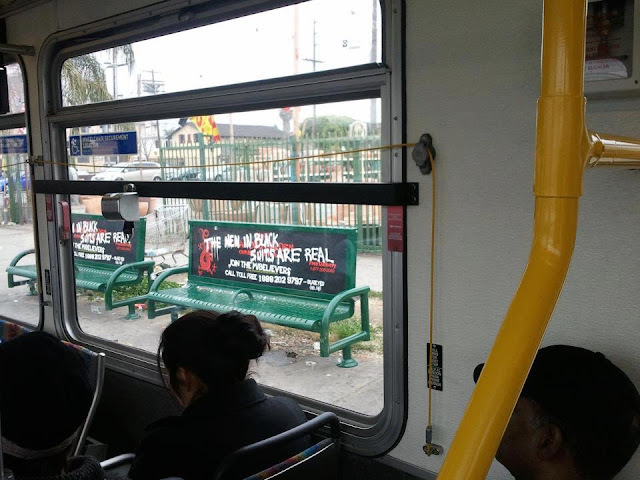 Here's some pics of the newest viral banner for MEN IN BLACK 3 asking you to "join the believers". I also have the latest video from BugEyes 126 who talks about the new banners that are being released everywhere. Men in Black 3 hits 2D, 3D and IMAX 3D theaters on May 25th. 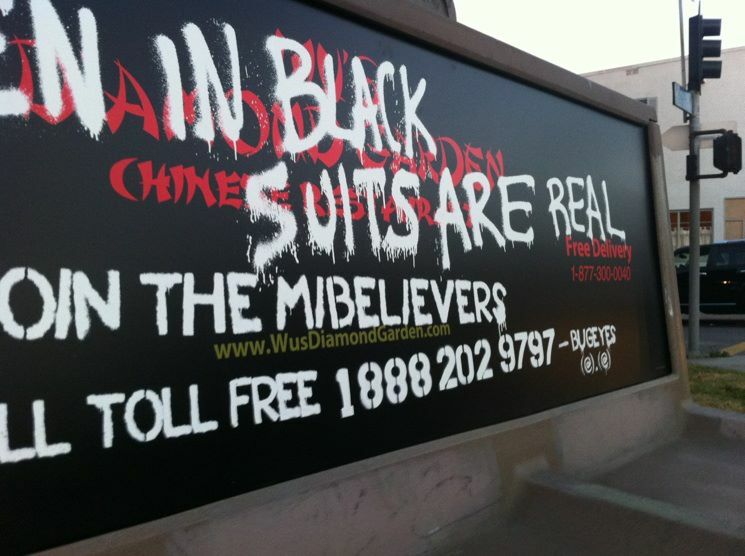 Visit and "Like" the Men In black Suits Are Real Facebook page.